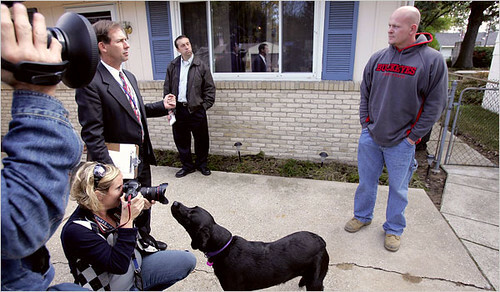 MerchantCircle | Blog: Say it Ain't So Joe the Plumber! Well turns out Joe the Plumber's going to have a harder time buying A Newell Plumbing Repair than we thought. First of all, he isn't even a licensed plumber, which is needed for him to work in Toledo, OH. That's easily attainable, but is he even in any position to buy the company he works at? According to court documents, he owes nearly $1,200 in back taxes. When he asked Senator Obama about the $250,000 tax threshold, maybe he meant in the long-term future. To top matters off, his actual first name is Samuel and his middle name is Joe. Check out the back and forth discussion on our comment board from small business owners weighing in on Senator John McCain and Senator Barack Obama. While the conversation is predominantly pro-McCain, the plumber's union does support Senator Barack Obama.